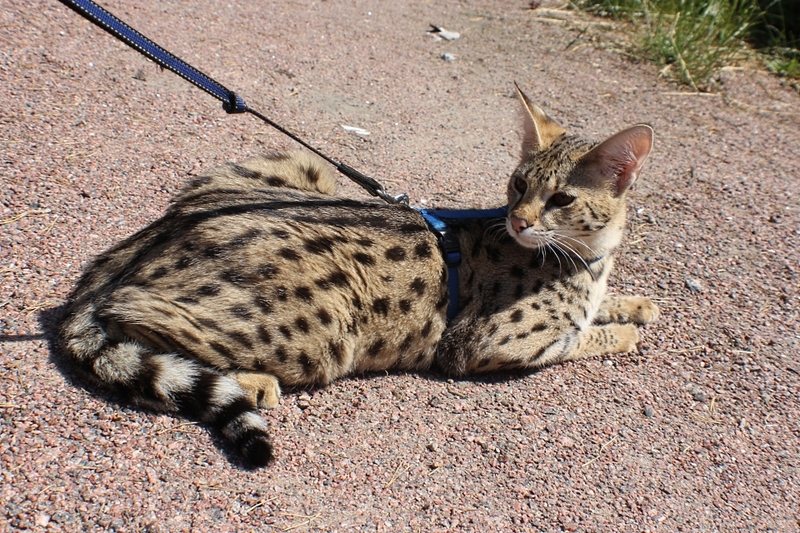 Pearl of our kennel Serval Victoria. Cat incredibly affectionate, and purred like a dog faithful. The only one of the girls that is not immediately on contact with strangers, trying to get round people not familiar to her. Very clever, smart and easily trained. 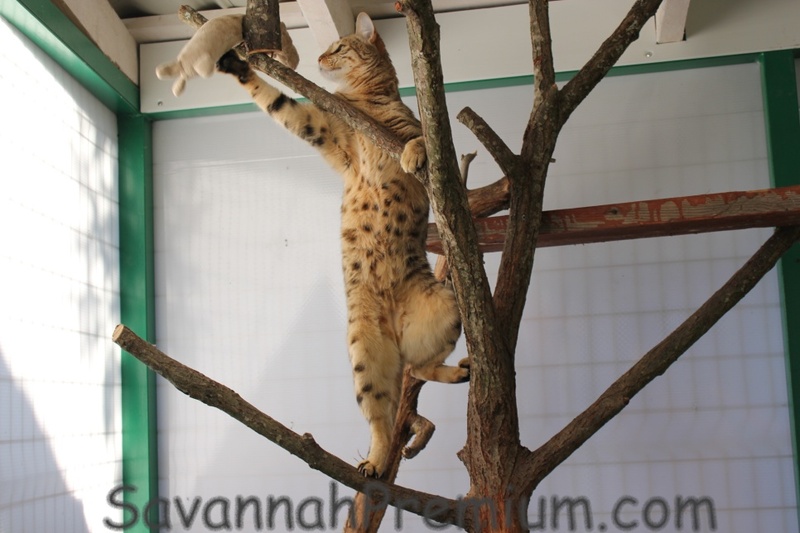 Participating in the program launch cats Savannah F1. Savannah F1 adorable girl from our kennel. 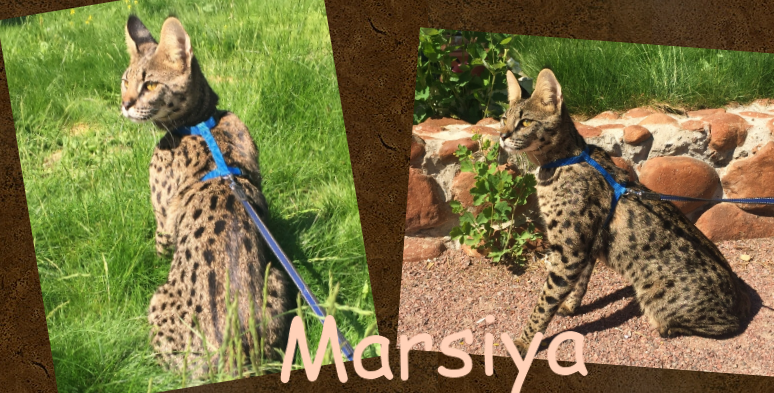 Marsiya very large, very slightly inferior to the size of our Serval Victoria. She's incredibly smart, affectionate and gentle. 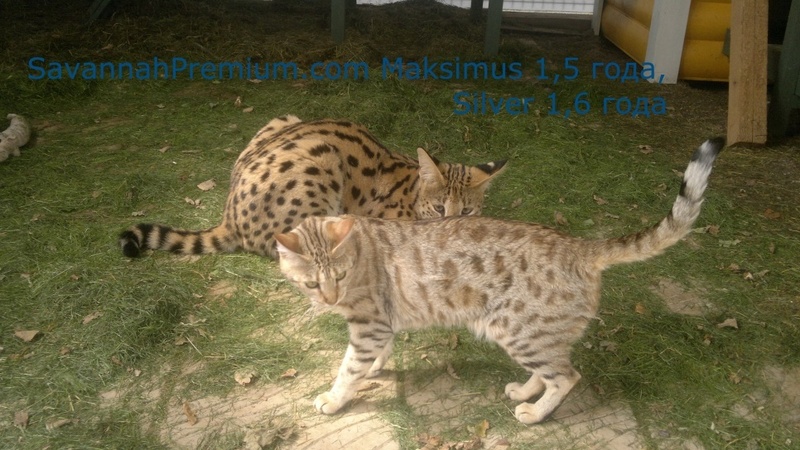 Best Mom for F1 and F2 Savannah kittens. 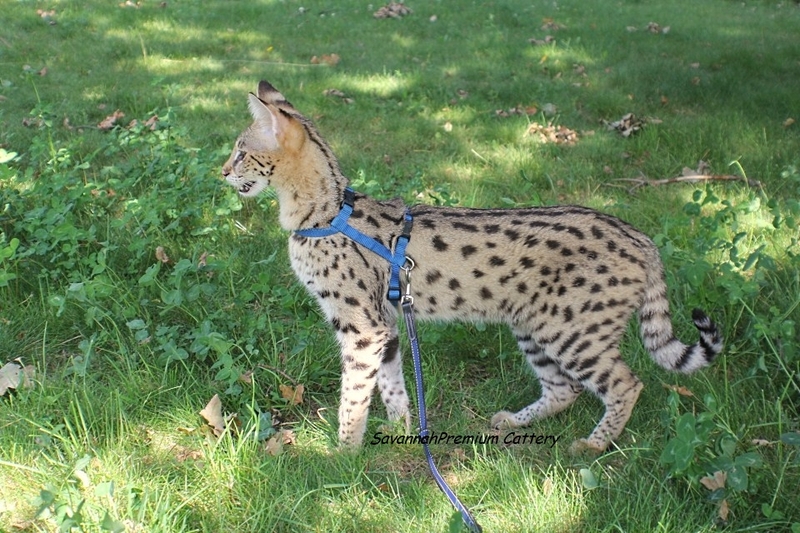 Savannah F2 (Savannah F2B) Hollywood star of our kennel, fully retained the chic color of his grandfather Serval. This babe has arrived to our kennel from faraway America, the California. 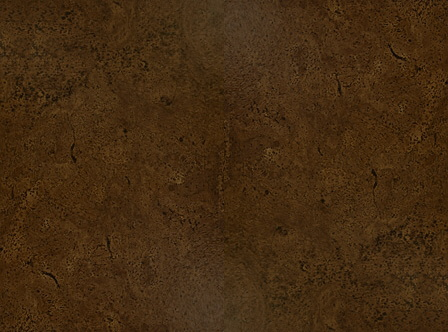 Very affectionate and gentle, like a dog loyal and extremely intelligent. Best mom to Savannah F3). 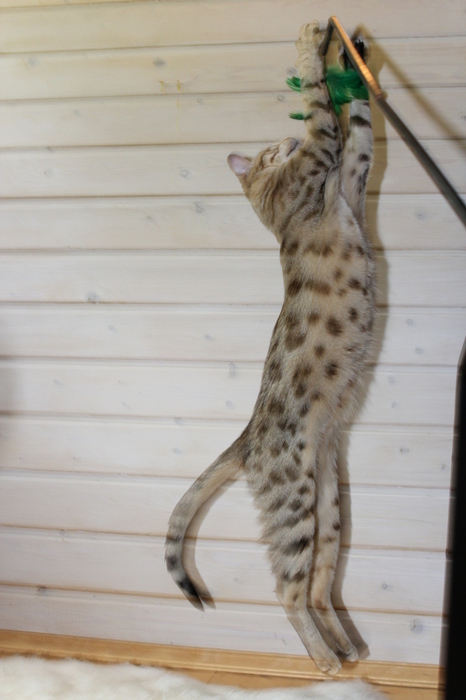 Savannah F3 kitten born in our cattery. 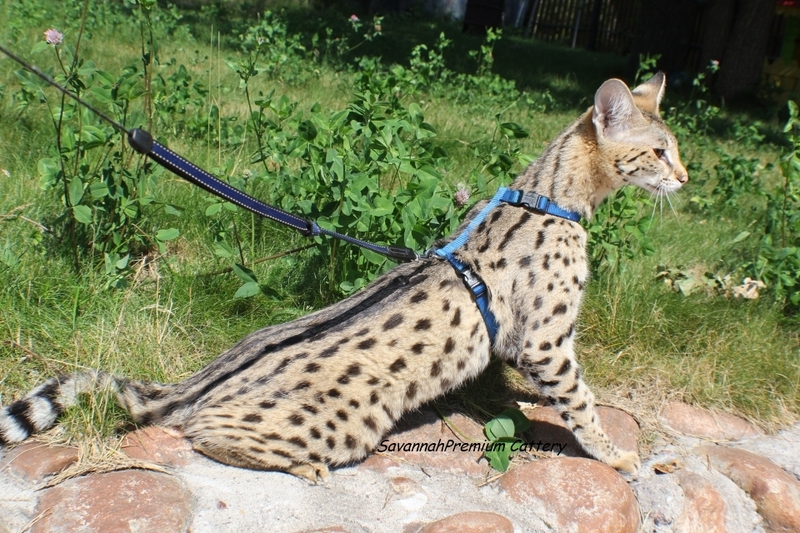 One of the most affectionate cats are very sociable and contact, she is favorite serval king Maksimusa. 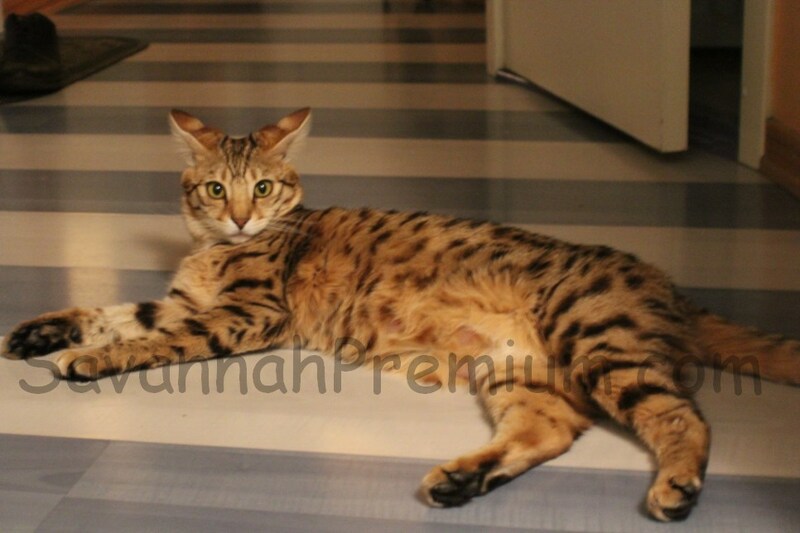 Mother of our kids Savannah F1. 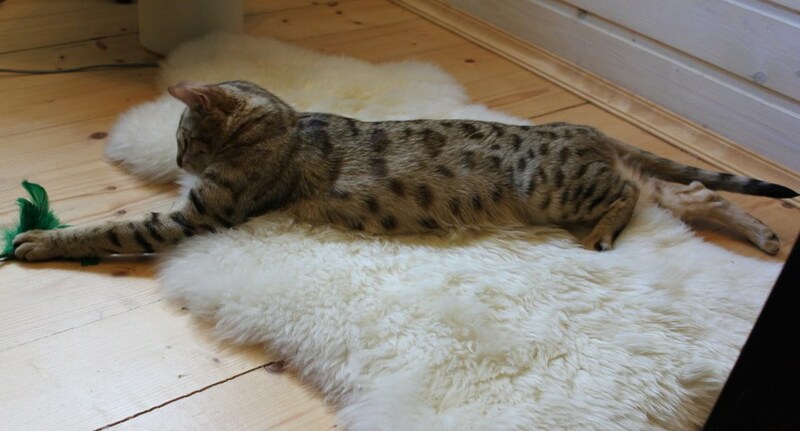 A born hunter. 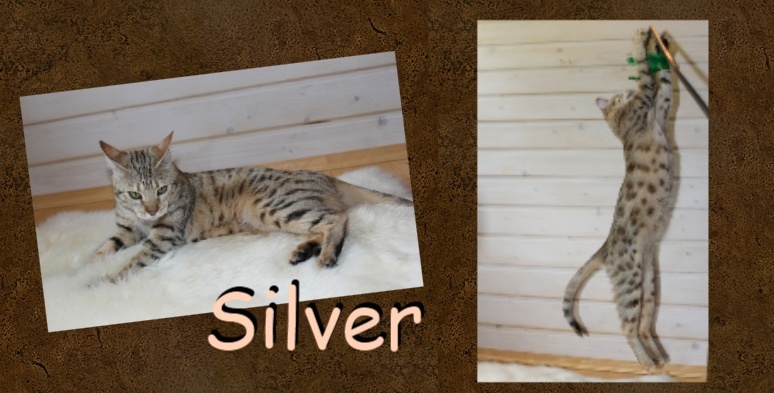 Savannah F3 gentle, affectionate little girl was born in our kennel. 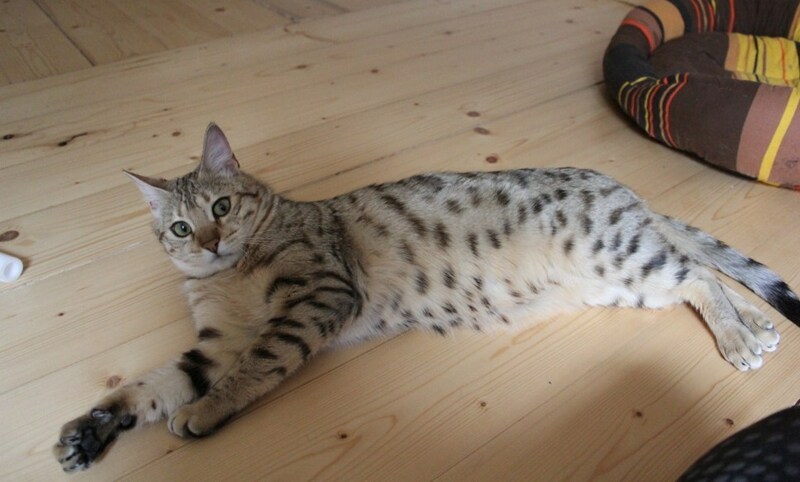 Very young girl, very affectionate. 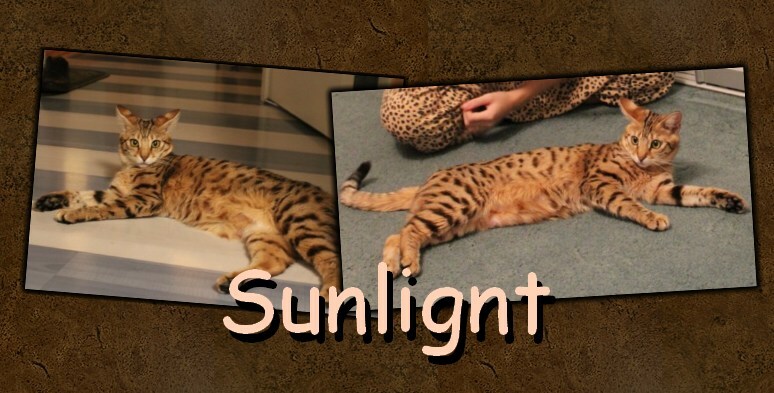 She has kept the chic color of her mother Sunlight, a contrasting very bright spot, large ears and long legs.